Remove all the server fan modules. See Remove a Fan Module. Remove the mid-wall from the server chassis [1, 2]. 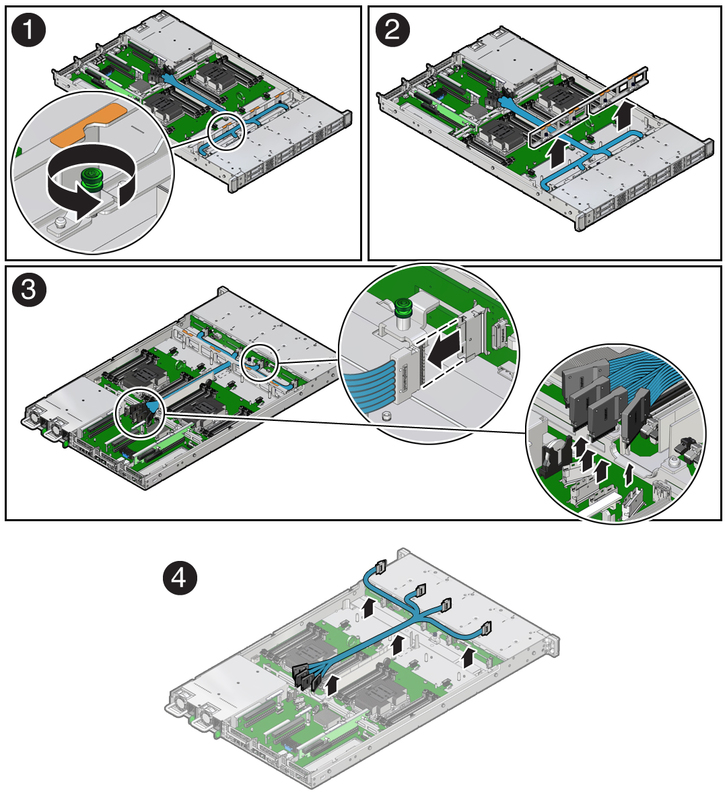 Using a Torx T15 screwdriver, loosen the four green captive screws that secure the mid-wall to the server chassis. Lift the mid-wall from the server chassis and set it aside. Disconnect each NVMe cable from the disk backplane by pressing the latch on the cable connector and then pulling out the connector . Disconnect the NVMe cables from the motherboard NVMe connectors . Carefully lift the NVMe cables from the center cable trough and remove them from the server .